This week, our client spotlight is Wendy Tucker, co-CEO and cofounder of Project Renaissance in Nashville, TN. 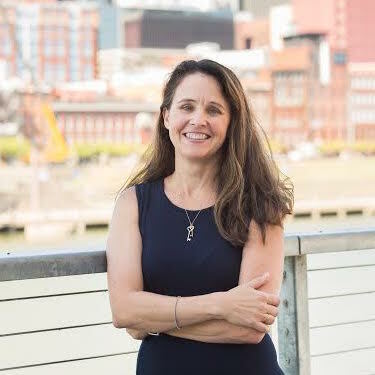 We spoke with Wendy about her company, the educational challenges facing children in Nashville, and got some excellent advice for new businesses! TenantBase worked with Project Renaissance as they were laying the initial building blocks of the organization, which included finding a creative environment for their offices on Music Row in Nashville to most effectively engage the community. Launched the fall of 2015, Project Renaissance is a nonprofit working to provide every child in Nashville with a high-quality education. Over the next five years, Project Renaissance's goal is to double the number of children attending high-quality public schools in Nashville. 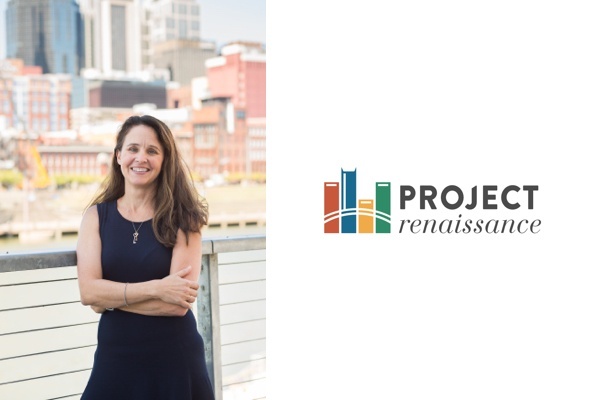 The Project Renaissance team is a passionate group that is dedicated to improving Nashville's educational environment. Using the district’s own school-scoring framework, “17% of children in Nashville are enrolled in high-quality schools.” This means that only 14,000 of the 85,000 enrolled children are receiving a high-quality education. Furthermore, 72% of students are economically disadvantaged and 15% don’t speak English as a primary language. First and foremost, Project Renaissance works to empower and engage families around what quality education means and the importance of having a voice. The team of eight also works to advocate for policies that help support quality schools and increase the number of great teachers in the classroom. Their goal is to double the number of children enrolled in high-quality schools in the next five years while supporting, growing, and creating more great schools. Hire the best: Find fantastic, passionate, and experienced people who are dedicated to their work. Hire really great people that you can see yourself having a relationship with! Focus on culture: Great team spirit helps small teams juggle multiple priorities on a fast-moving timeline. Talk to each other: Open communication is paramount - everyone has different areas of expertise and separate daily tasks. Find the right space: When you’re looking for a space, find a place that fits your personality and your company’s personality. We looked at a lot of space with TenantBase, and this space was the right place. We’re really happy that it works so well. Best tech tools for small businesses: Real-time traffic app Waze and easy expense tool Expensify, as well as Google applications. Best area in Nashville for business meetings: Our office! Favorite neighborhood in Nashville: Music Row, where our office is located - great people watching! Favorite recreational activity in Nashville: Nashville is a great running city. My co-CEO and I try to have at least one running meeting per week. Favorite restaurant in Nashville: The Southern, for their down-home comfort food like gumbo and oysters. Discover Great Schools II, April 4, 2016: Please join Project Renaissance and community members for our Discover Great Schools II tour on Monday, April 4, 2016 at 8:30 am. While touring Meigs Magnet Middle School and Liberty Collegiate Academy, we will learn about the schools' successes and challenges. Thank you to Wendy and the Project Renaissance team for participating in our Client Spotlight!